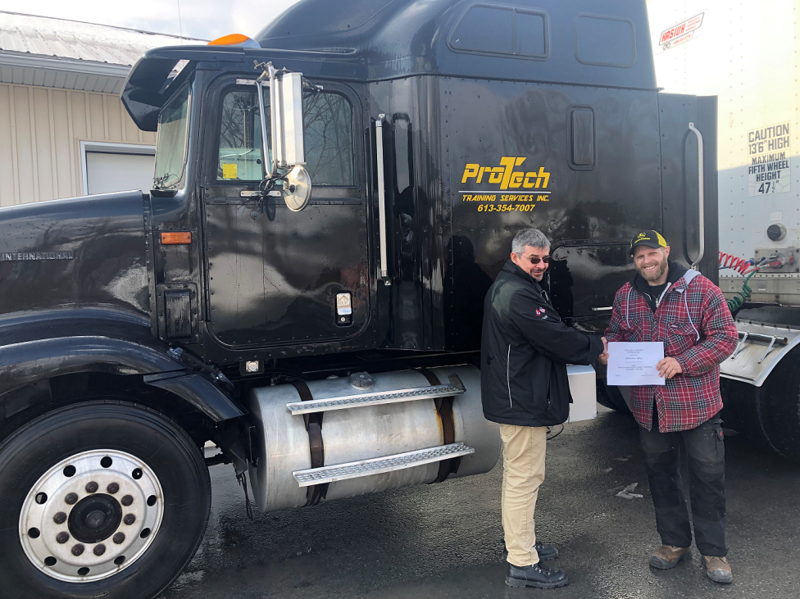 Pro-Tech Training Services is “Registered as a Private Career College under the Private Career Colleges Act, 2005” to deliver Tractor Trailer ‘A’ Class Driver Training. Mandatory entry-level training course is 108 hrs in length. Contact Pro-Tech Training Services today for more information or to register. Ask for Mark. © 2018 Pro-Tech Training Services Inc.